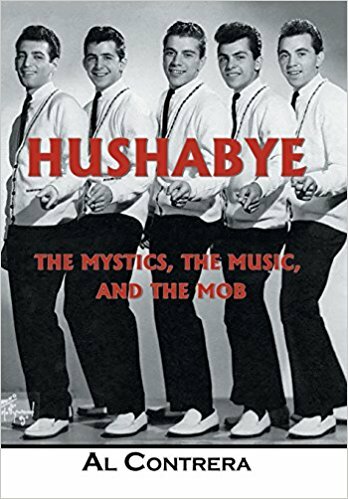 BOOK REVIEW: “HUSHABYE: THE MYSTICS, THE MUSIC AND THE MOB” by Al Contrera - Pop, Rock & Doo Wopp Live! 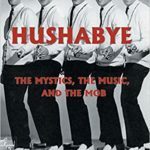 BOOK REVIEW: “HUSHABYE: THE MYSTICS, THE MUSIC AND THE MOB”, Al Contrera, Balboa Press, 2018 www.balboapress.com. Through the years, I’ve spoken to dozens of rhythm’n’blues, doo wop, and first generation rock’n’roll performers who related their plans for an autobiography. With a few notable exceptions, Jimmy McGowan of the Four Fellows coming immediately to mind, most of these plans remained unfulfilled. As many of our pioneering artists pass on without sharing their first-hand experiences, a valuable part of our music history is essentially lost. 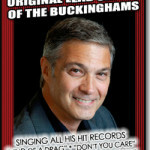 That’s why this 215-page memoir is such a welcome addition to vocal group harmony fans and historians alike. Al Contrera vividly recounts the life of a teenager growing up in the Bath Beach section of Brooklyn, New York. It’s a life fused with peer pressure, organized crime, neighborhood gangs, street corner harmonizing, and the rise to national prominence, with the warm sounds of the Del Vikings, Cadillacs, Dells, and Harptones serving as influences and a magical soundtrack through the iconic 1950s. As the original bass in the Mystics, the author, with input from his four original singing partners in the group, meticulously recounts recording session and personal appearance tour dates and details. The group’s triumphs and tragedies are spelled out honestly and without mollifying; at their height, lead singer Phil Cracolici spends two years in prison for being present at a gas station holdup prank that turned deadly. The Bath Beach neighborhood had its share of colorful characters- Punchy, Jerry the Jew, Tarzi, and Detective Hanson to name a few- and they all come to life within the book’s 34 chapters through the author’s descriptive passages. Likewise, Laurie label owner Gene Schwartz and arranger Elliot Greenberg and chain-smoking Jim Gribble, the Mystics’ loyal and committed manager, become more than just a name in print or a footnote in history. Lots of music trivia exists within the story. How close did the Mystics come to recording “A Teenager in Love”? How was it that Jay Traynor was hired and fired from the Mystics before finding fame as the lead of Jay and the Americans? What Rock and Roll Hall of Famer earned session pay as a background vocalist on a Mystics recording session? Try and read the story about Jim Gribble taking Freddie Cannon and the Mystics out for pizza during a package tour without laughing out loud! There are some mistakes- spelling and grammar errors that the editor should have fixed. In one place, Fats Domino’s name is spelled wrong. The myth that Freddie Cannon played guitar on “Ka-Ding Dong” is repeated. In truth, he didn’t. Boston guitarist Don Alessi did. Contrera also recalls auditioning for the Overons in the late 1950s with the Drifters “Please Stay”, however that hit wasn’t written until 1961. Still, these do not take away from the powerful story that weaves its way from Bath Beach to the concert stage at the Meadowlands Arena before a 2009 performance with Al’s current group, the Classics. Again, it’s rare that we- as fans- get an honest and complete look into the history of a group. It’s an amazing story that deserves to be read and shared.